CARBONDALE - Marie Emily Milburn Harrell, 87, of Carbondale, Illinois, died of natural causes on January 17, 2019. She will be greatly missed and lovingly remembered for her warm and generous heart, her dedication to community service and social justice, and her devotion to her many friends and family. Marie was born in Fort Worth, Texas, on August 4, 1931, to Morris and Grace Milburn. She grew up in Fort Worth with her older brother Morris Jr. and younger sister Marilyn. After high school she spent several years working in Waco, Texas, before attending North Texas State University in Denton and earning her bachelor's degree in English and History. She wedded Robert Bruce Harrell on January 23, 1955, and they enjoyed almost 64 years of married life together. After marriage she taught high school English in Slidell, Texas. The young couple soon moved to Austin, where she worked as a Legal Secretary and office assistant, first for the Texas Attorney General's office and then for the Treasurer of the International Honorary Society for Women Educators. In 1964 she moved with her husband to Carbondale, Illinois, where they raised two daughters, Amelia and Elizabeth. She became a successful businesswoman, owning and operating a Baskin-Robbins, then obtaining a real estate license and working in property management until her retirement. She was also elected and served several terms as Carbondale Township Clerk. Throughout her life Marie was an indispensable volunteer and activist. She championed voter rights, public school integration and better services for the residents of Carbondale and Jackson County. A skillful and tireless political activist, she pioneered voter registration drives in Jackson County and SIU. For years she organized, managed and staffed the Jackson County Democratic Party Headquarters in Carbondale. She also spearheaded efforts to improve mental health services as a longtime member of the Jackson County 708 Board. Over the years she was an active member of many organizations, including the League of Women Voters, the Unitarian Fellowship of Carbondale, the American Association of University Women and the Democratic Party. 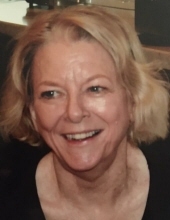 Beyond her professional and community accomplishments, she was a generous friend and neighbor who never hesitated to help and support those around her. Family and friends alike benefited from her warm heart, wise counsel, tireless determination and sense of fairness. In her later years she enjoyed playing bridge, visiting with friends, traveling the world, and, above all, spending time with her grandchildren. She is survived by her husband Robert, daughters Amelia Amin (Camron) of Berkley, Michigan, and Elizabeth Eidem (Scott) of San Jose, California, and her five grandchildren: Caelin Amin, Benjamin Amin, Stephanie Eidem, Emily Eidem, and Tyler Eidem. No services have been arranged at this time. To send flowers or a remembrance gift to the family of Marie Harrell, please visit our Tribute Store. "Email Address" would like to share the life celebration of Marie Harrell. Click on the "link" to go to share a favorite memory or leave a condolence message for the family.